This is the beginning of writing two or three pieces about my home village of Penycae, near Wrexham in North Wales. I lived there from my birth in 1947 to when I left to live in Birmingham in 1968. "It is very strange to think back like this, although come to think of it, there is no fence or hedge round Time that has gone. You can go back and have what you like if you remember it well enough". 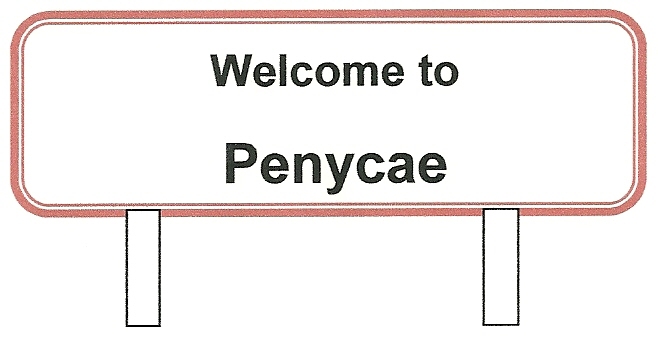 The name Penycae means, 'head or end' (Pen) of the 'field' (Cae). 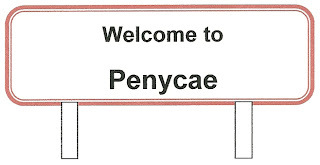 The Parish of Penycae came into being on the 28th October 1879, and is now one of 42 Wards in Wrexham County Borough. It has always been a reasonable size village, with the 1901 Census giving it a population of 3046, and the 2001 Census population of 2247. The Parish Church of St Thomas was consecrated the year before the Parish was formed, though most of the population were non-conformists. When I was growing up, there were six Chapels in the area. The Baptist Chapels of Salem (Welsh) and Sion (English); the Calvinistic Methodist Chapels in Groes and Tainant; the Wesleyan Chapel of Soar in Stryt Issa, and the Primitive Methodist Chapel in Copperas. Coal was the industry of the area for generations and Hafod Colliery was the main pit for our village. It was opened in 1866 and at its height around 1918 it employed about 2000 men. It was closed in March 1968 (the year I left the village - though I don't believe that there is a connection between the two events) and 1300 men lost their jobs. On the 28th April 1989, a service of commemoration and thanksgiving was held at St Thomas Church, Penycae on the occasion of the 21st anniversary of Hafod closing. As part of the commemoration process, the local Vicar, with others produced a book as a collection of mining memories at the end of an era. The Book was called 'Clatter of Clogs' which was taken from a conversation with a local miner. "I remember when I was a boy, all you could hear at 5 am was the Clatter of Clogs. People going to work would rely on the clogs to wake them up. It was more reliable than an alarm clock". 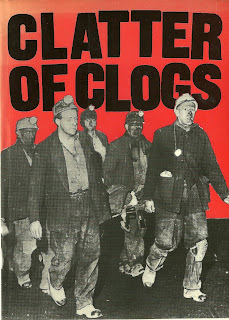 The picture on the front cover is of an injured man being brought out from the Hafod Mine after a roof fall. On the website Ask Jeeves, I typed in, 'How many famous people does Penycae have?'. It gave two answers. Robert Roberts, the Wales and Bolton Wanderers footballer was born in Penycae in July 1864. Also, children's entertainer Rob Jones was born in the village. Not a great list to be sure, but I'm betting that it's larger than many places of similar size. Perhaps that's enough of a background picture, and it's time to get a bit more personal with the story. Let me begin with a wedding and a brief parental history. I've posted this picture for two reasons. One is that I adore it, and the other is that without their wedding, I wouldn't be here today. They were married in January 1942 when my father would have been aged 25 (born 17th June 1917), and my mother aged 21 (born 11th December 1921). I was fascinated to be reminded by my sister who my Dad's best man (far left) was. It turned out that 25 years after this photograph was taken, he was taking me for six driving lessons, and successfully saw me through my driving test in 1967. Mum was born and brought up in Tainant, which, though in the Parish of Penycae was a wee hamlet nestling in the hills outside of the village. Grandmother (Nan) gave birth to four daughters between 1921 and 1932, my Mother being the eldest. My Mother died in 2005, but her three sisters are still around - two in Penycae and the other in a neighbouring village. My Father is more complicated, and there are questions still to be answered. 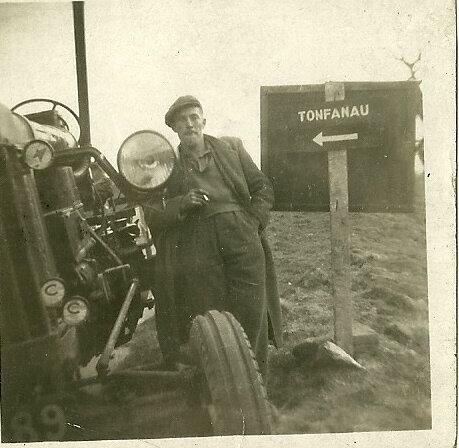 His mother was called Jane Evans from Pentre Broughton, Wrexham, but his father is unknown. He was born in 1917 in a workhouse in Llanrwst, which is a small market town on the edge of the Snowdonia National Park. The picture opposite shows it to be a beautiful place today, but may have been quite different in the early part of the 20th Century. I visited it a few years ago and it is as nice as the picture suggests. The history of workhouses is a fascinating one. In 1834 the Poor Law Amendment Act was passed. This meant that all parishes in Wales and England were grouped together into Poor Law Unions. Each Poor Law Union had to provide a place where people who were unable to support themselves could live and work, known as the Workhouse. There is no doubt that "conditions in the workhouses were deliberately made to be harsh, spartan and degrading so as to deter all but the absolutely destitute". Llanrwst Poor Law Union was formed in April 1837, with the Workhouse erected in 1840. It had separate accommodation for different classes of 'inmates'. At the time of the 1881 Census, the Union Workhouse in Llanrwst had 34 people living there (27 male and 7 female). 17 were described as unmarried, with another 10 either married or widowers. 30 were classed as paupers, and 4 described as vagrants. 4 of the paupers were also described as idiots (3) or imbecile (1). A tragic figure is that 8 living in the workhouse were under the age of 11. The oldest person was 86 and the youngest 2. Though my Father was born 36 years after this Census, I can't believe that the conditions, or type of 'inmate' would have changed that much. What drove his mother into the workhouse is one of the unanswered questions. Another unanswered question is this. I've always believed that his mother gave him away at birth, but I now know that he was 'adopted' when he was 18 months old. Where was he for that first 18 months of his life? Was it spent at the workhouse? I may never know the answers to these questions, but I am filled with admiration for my Father, who through great trials and tribulations grew to be a sane and stable man. 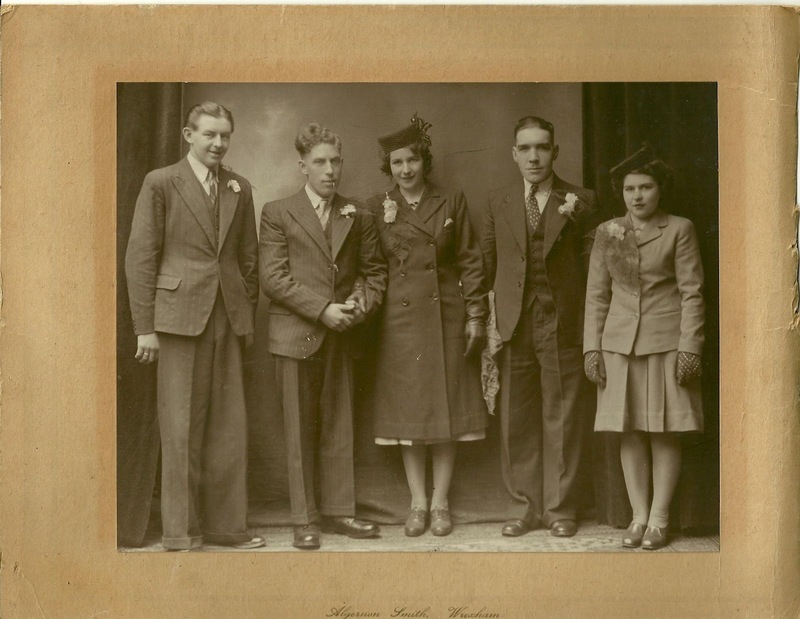 My Father grew up to work on the farm of his adopted family, and inevitably became a farm labourer by occupation, and I came along about 5 years into their marriage. Tragically he died from Leukemia at the age of 41, when I was aged 11 and my sister 7, but more of that another time. So the scene has been set ready for the Evans children to enter into the world, but that will have to wait until next time.